Hi, guys! 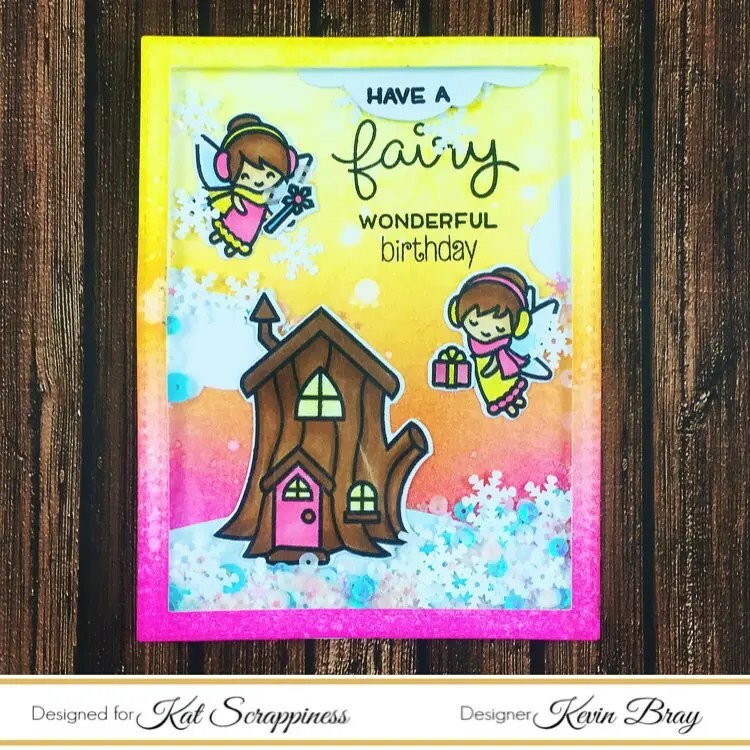 Today I am here to share with you how I made this birthday card using a stamp set that is intended for Christmas. 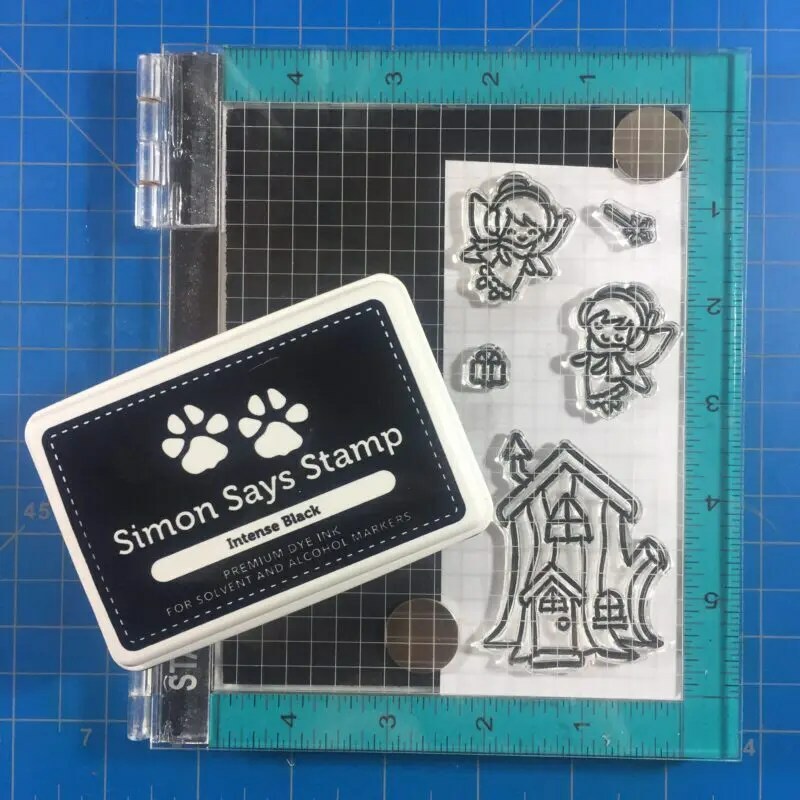 I love getting more use out of my Christmas stamps by using them for non-holiday projects. Here’s a look at the card as well as how I made it! 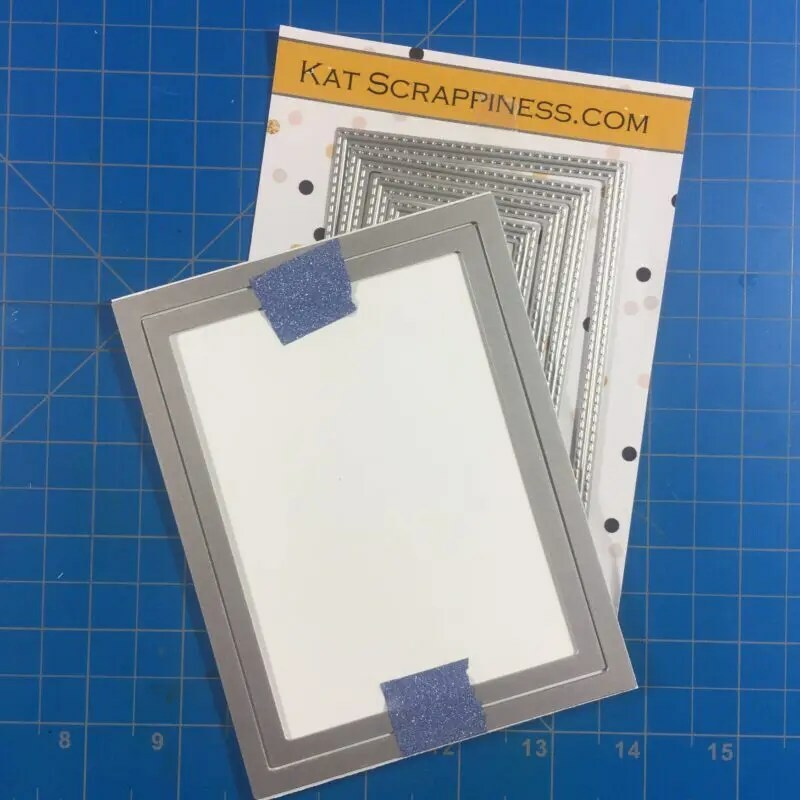 I started by using the Kat Scrappiness Double Stitched Rectangles to die cut my frame and my background panel. 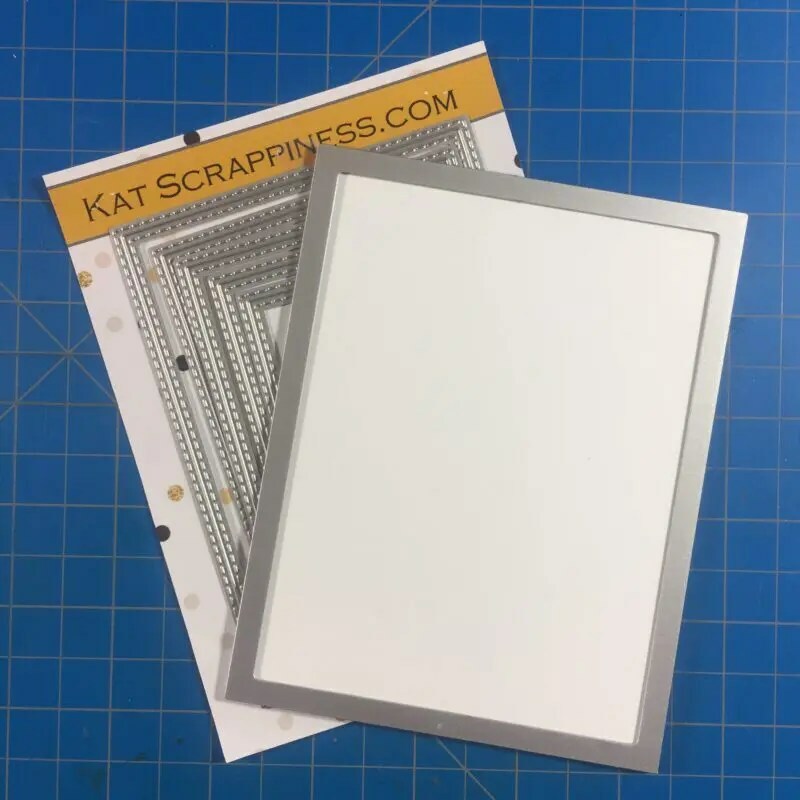 I LOVE these dies because they give you stitching details on both sides of the cut, which makes it perfect for creating finished frames. After die cutting, I used 2 colors of Distress Ink to blend some color on my pieces. I chose Picked Raspberry and Mustard Seed. These aren’t traditional winter colors but I think they worked well for this card! I tried to achieve a gradient effect so I applied more Picked Raspberry towards the bottom and less color as I moved towards the center of the card. For the Mustard Seed, I applied more color towards the top and less in the middle section. 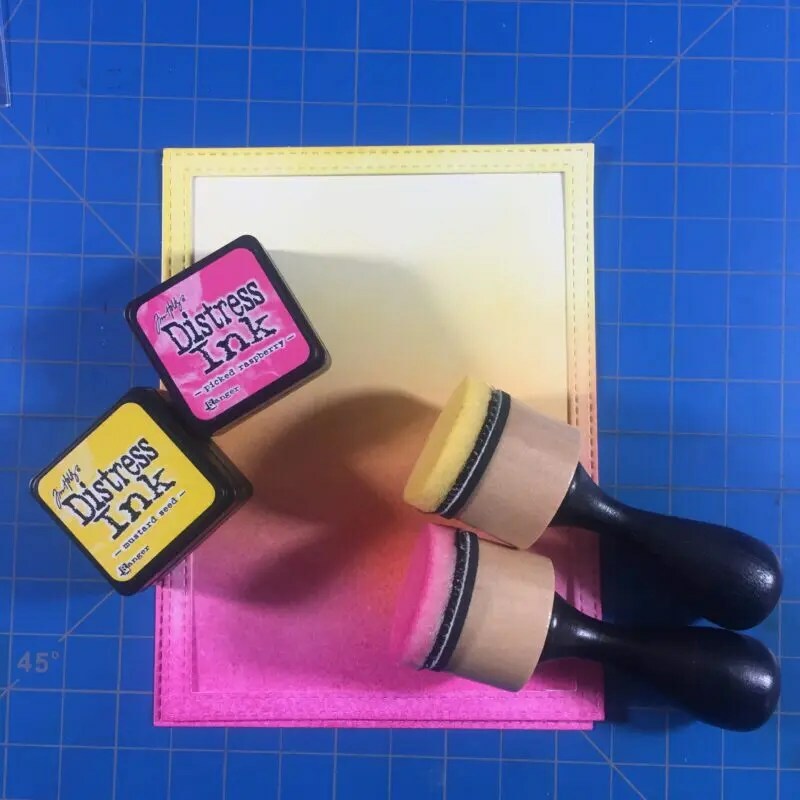 These 2 colors of Distress Ink blended beautifully together to create a vibrant orange. 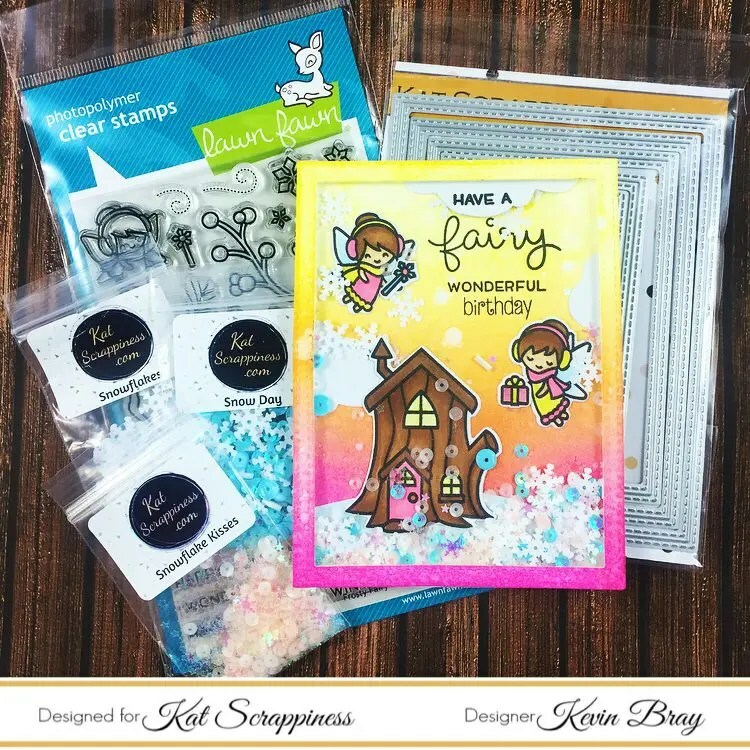 Next, I used my Stampoholic Nano to do my stamping of the fairies, the fairy house, and their accessories from Lawn Fawn’s Frosted Fairy Friends. I also stamped the sentiment onto my background and added a snow hill and some clouds. 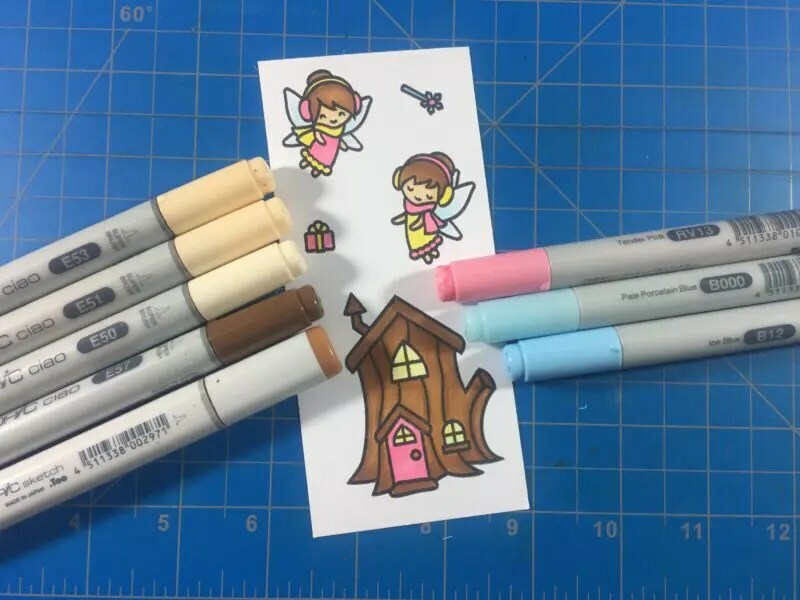 I used SSS Intense Black Ink because I wanted to do some Copic coloring AND watercoloring on these images. My last steps were to add some foam tape (2 layers) and choose my shaker bits! 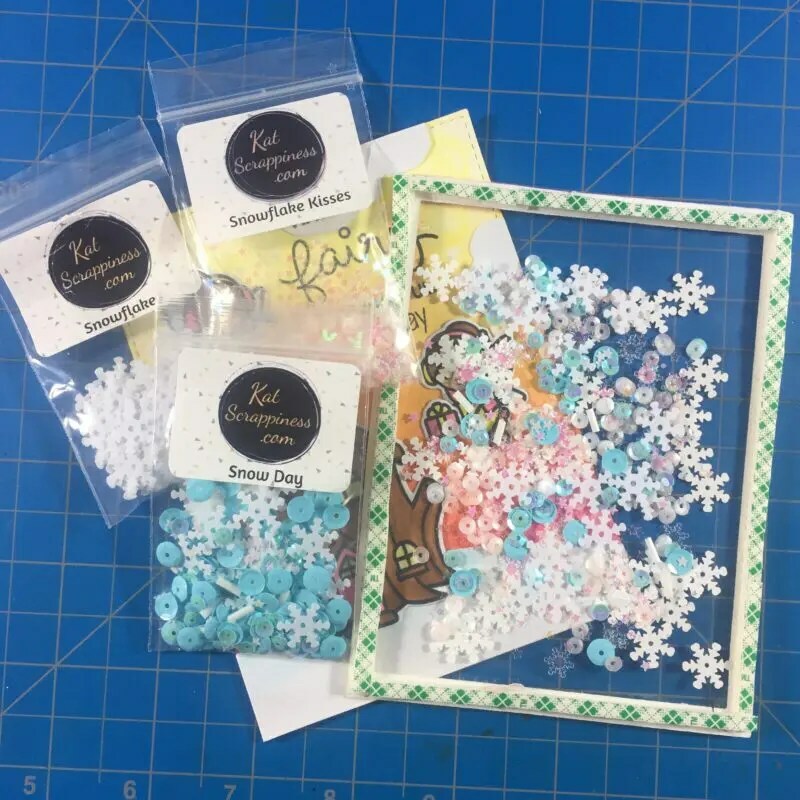 I decided to use Kat Scrappiness’s Snow Day, Snowflakes, and Snowflake Kisses. By using these 3 mixes I got a variety of colors, sizes, and sparkle! I love the soft pastel colors for winter cards. Finally, I assembled the whole card together onto a top folding A2 sized card base. Thank you so much for joining me today! I hope you all have a great Thanksgiving(safe travels!!) I also hope that you found some inspiration to use those Christmas sets for other occasions! Have a great day!!! Here are links to all the products I used! Kevin this is beautiful! I love it!